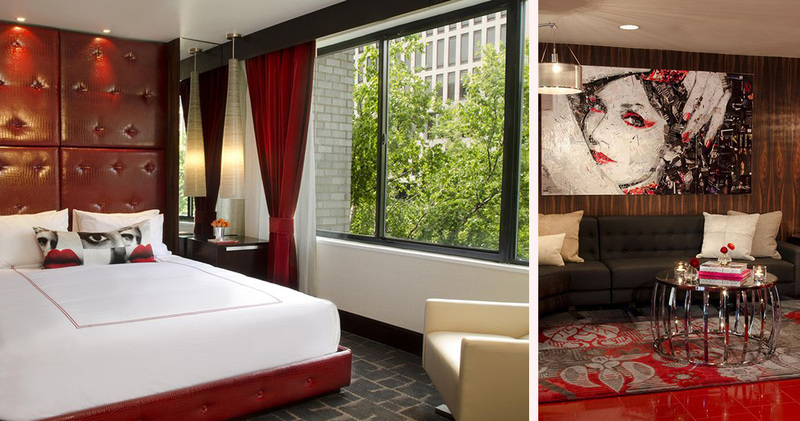 Rouge Hotel in Washington D.C. aims to reflect the vibe of the colour that it celebrates. 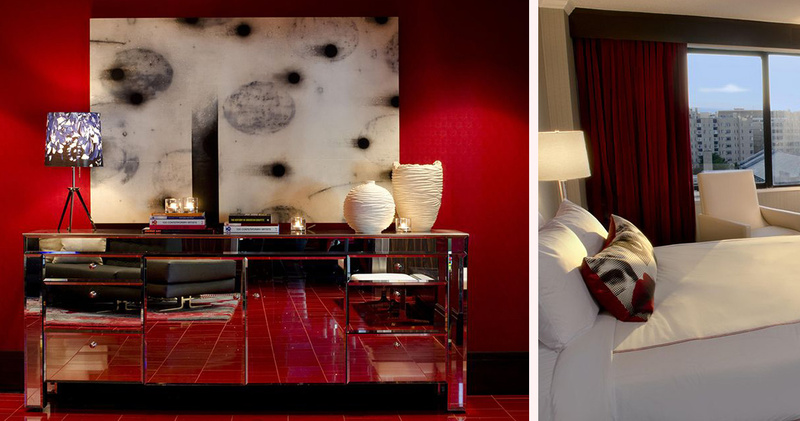 Red is energizing and vibrant, yet similarly warm and welcoming. 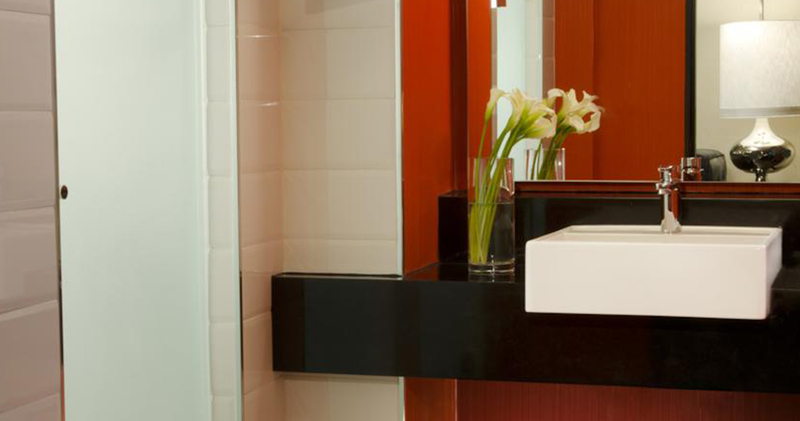 This luxury boutique hotel, located just outside of Dupont Circle, boasts all of these traits and more. The lobby area exudes contemporary chic, with varying shades of red, black and white across the walls, furnishings and floors. 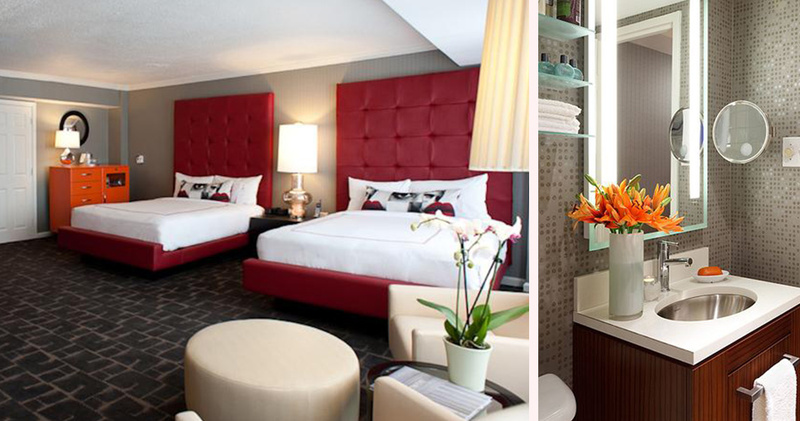 Following extensive renovations, The Rouge Hotel now contains even more modern amenities to ensure guests experience the ideal stay. 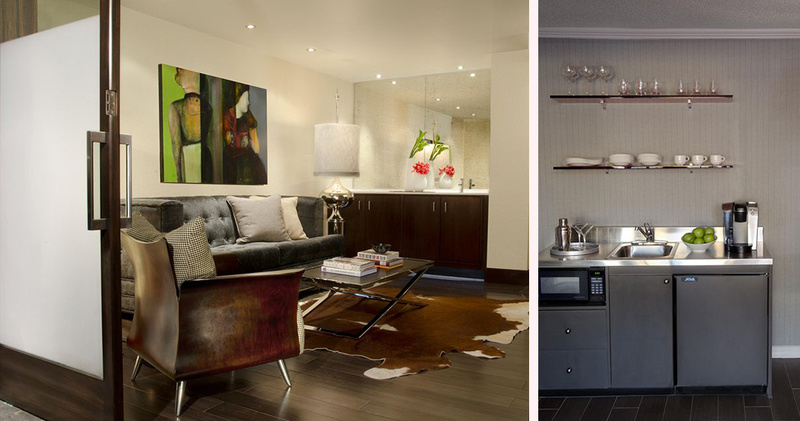 As part of the renowned Kimpton Hotel Group, guests can enjoy complimentary bikes (a novelty way to explore the city), social evening wine hours and free daily newspapers. 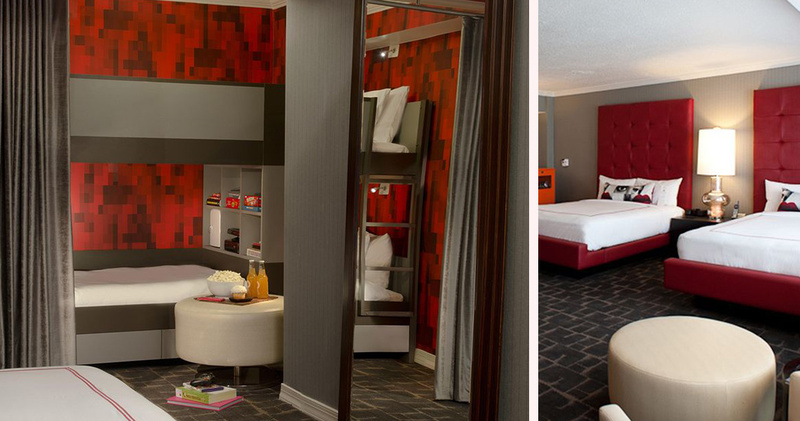 The 137 rooms at Rouge Hotel are freshly renovated and incredibly spacious. 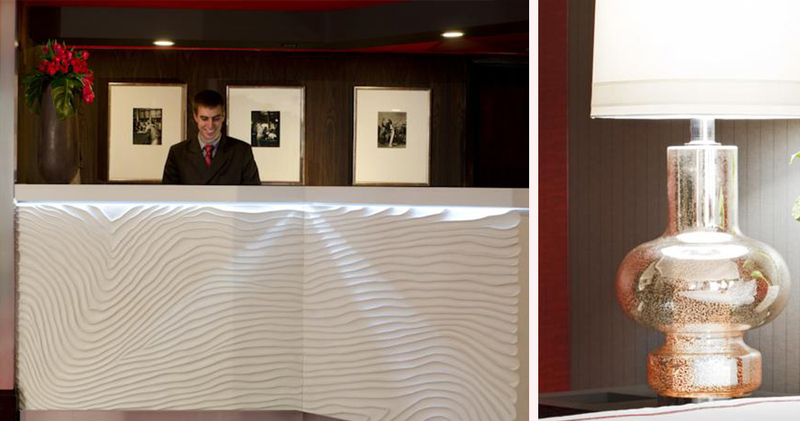 Fiery red designer headboards create a stunning feature piece, with atmospheric lighting enhancing the look. Bare, black brick floors lay in stylish contrast to the plush linen and soft cream seating area. 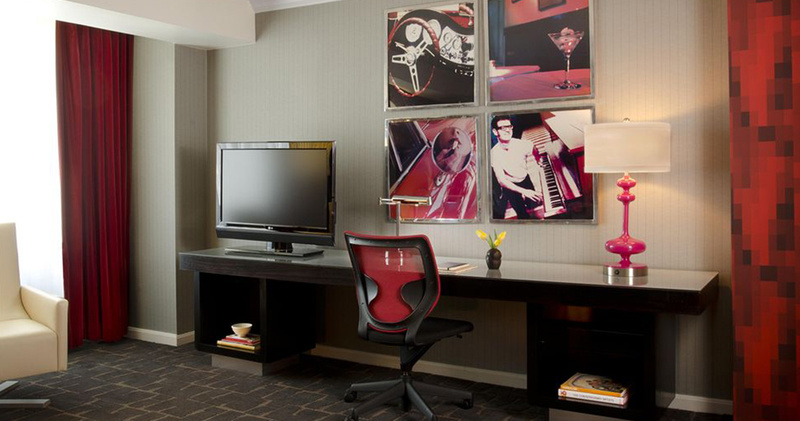 All rooms come equipped with a 37-inch high-definition TV, a fully stocked organic bar and large work area. 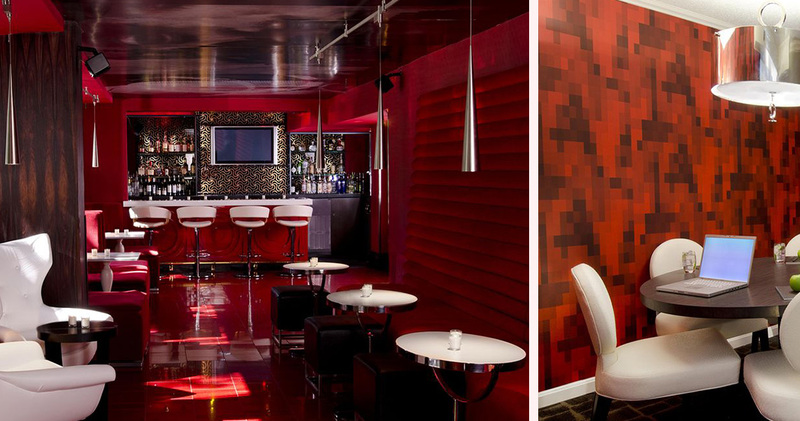 The restaurant and bar scene in Washington D.C. is large and lively, and Bar Rouge fits right in as a local hotspot. Innovative cocktails can be enjoyed in the beautiful ambience of the main bar area, while the Side Bar is a more intimate retreat.